Carolyn Coil is an internationally known speaker, author, trainer, consultant and educator. In her workshops, professional development courses, seminars and keynotes, she is an enthusiastic, motivating and energetic presenter. Carolyn works with teachers, parents and students offering practical strategies for enhancing student achievement, implementing creative teaching and dealing with the problems and challenges associated with preparing ourselves and our children for living and working in the 21st Century. Carolyn has worked in the field of education and training for 30 years. She has her own consulting firm, Creative Consulting & Training Resources, based in Atlanta, Georgia. She currently teaches courses in gifted and talented education and does workshops on a wide variety of topics. She has been an Adjunct Professor at several different universities and has worked in the United States, Australia, New Zealand, Bermuda, the Marshall Islands, Spain, Germany, Ecuador, Croatia, and South Korea. 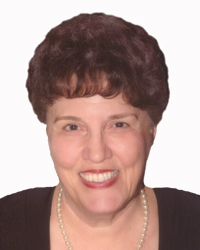 Carolyn is the author of numerous books and resources.